According to sources close to the Queen and Prince Philip, they regarded their eldest son as something of a ‘loose cannon’. He was too quick to anger, given to tantrums and driven by an almost revolutionary zeal to ‘make his mark’ with various initiatives and causes that they believed teetered dangerously on the brink of quackery. To make matters worse, there was a period of tension between parents and son after a biography by Jonathan Dimbleby revealed that Charles felt they lacked affection for him as a child. At one point, relations were so bad that the Prince and his father communicated only in writing. ■How Charles is already 'Shadow King' and the Queen could stand aside at 95, allowing him to become Regent. But in fact, as we were to learn years later when Diana secretly co-operated with a book about her life, just a few weeks before she walked up the aisle she was having second thoughts. What we haven't known until now is what Prince Charles himself was feeling. And the sad truth, I can reveal, is that he already knew that the marriage was doomed. It hadn't taken him long — just a few meetings with Diana — to realise that they were totally incompatible. During the weeks leading up to the wedding, he told friends, he would try to talk to her about his work commitments and what kind of day he'd just had — and Diana would stare back at him blankly. She seemed incapable of grasping the intellectual thread of what he was saying. Then for no apparent reason, he recalled, she'd suddenly well up and burst into tears. A sympathetic man, Charles was at a total loss. Why was Diana so upset? Had he said something wrong? Then there were alarming and irrational mood swings and temper, which the Prince found impossible to deal with. The more he saw of his volatile fiancee, the more Charles knew in his heart that he'd made a terrible mistake. Ooh I'm going to buy this bio! Diana and Charles's marriage was a Greek tragedy, but I blame Charles for marrying someone he didn't love. 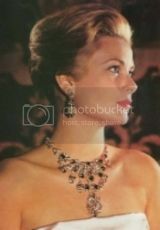 He felt under pressure from the media and the letter from Philip, though that didn't order him to marry her. Charles was 32 at the time of his marriage. He should have grown a pair and told his father that he didn't think he and Diana had anything much in common and that he wasn't going to marry anyone unless he was head over heels for them. Those around him, including the Queen and Phil, knew very well he was in thrall to Mrs PB and always had been. Princess Margaret expressed concerns just before the Charles/Diana wedding that Camilla might not let him go. Charles described Diana to a friend as 'very pretty. She's a real poppet, but she's a child' Does that sound like a man who is deeply in love? However frightened he was of his father, to marry Diana anyway in spite of huge doubts just shows his weakness, IMO. I think a huge problem came from the fact that Diana was still emotionally immature and hadn't too much of a clue of the REALITY of what she was getting herself into. It is clear that she was in way over her head and she wasn't able to build a bond with her husband since it was clear that Camilla was never going to 'learn her place.' It was also clear after that the Windsors were NEVER going to treat Diana with the respect she deserved. Once Diana was THE Princess of Wales, it was wrong for Princess Anne to publicly look down on Diana and it was out of line for Princess Anne to make mocking comments about her (Diana) to anyone. ^Anne's always been inclined to be a bit brusque. However, it was Anne who was taken aback by the dismissive and sarcastic way Charles spoke to Diana in front of others later in the marriage, and said that she would consider writing to him about it. (The main way royal family members communicate with each other it seems!) If it was that noticeable to Charles's family then it was a very rude way to behave in making others uncomfortable as well. This will be an interesting read. I am sure it will be biased but then most of the bios are biased against one of the parties. I think both Charles and Diana knew that they were not compatible and potentially that the marriage was not going to be what they had expected. I agree Kuei Fei that Diana was still emotionally immature. I thought some of her relatives revealed (later on) that they knew it would not be a good match or something to the effect. Diana often mentioned needing to be taken care of and regrettably, that is not what makes a healthy marriage. Diana was also someone who didn't understand just how COLD royal families are and the BRF is the coldest of them all. This is a family that viciously cut out many members and still ruthlessly cuts out those who are no longer of any use to them. As for her relatives, they should have been human beings and did all they could to convince her to break up with Charles. It is well known that both of them wanted out before the wedding but both families kept up the pressure to get them married. The most important lesson learnt - not only by the BRF but all the royal families has been to allow the young royals to marry for love and love alone. That they make their own choices with no pressure or expectation that the partner come from a certain class of have a squeaky clean background. I would love to get this book but as I can't get it from amazon.co.uk - they will no longer ship to Australia - and the cost in Australia will be so high as to make it too expensive for me I won't be able to afford it. The decision by the Australian government to charge GST (our retail tax) on goods under $1000 doesn't mean that Aussies will buy stuff here - only that many of us will go without. I believe in love, but I don't believe in blind love or love based on a fantasy projection of someone that is promoted by the press as perfect. I believe Diana was projected to Charles as perfect via the press and as a result, Charles viewed Diana as perfect. The entire sense of reality that the BRF (and many other royals) follow is projected by the press. That is how Kate got the ring, via a press campaign and Meg for some reason had the press on her side during her brief campaign to get Harry. With the Windsors, it's all about the press perspective. 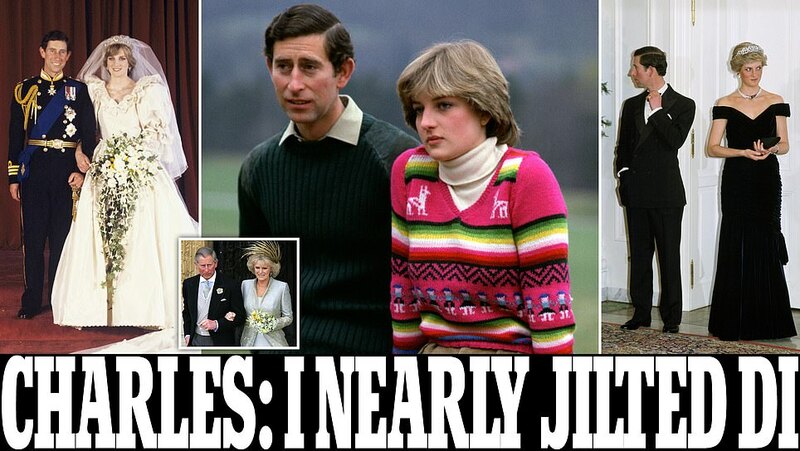 I am certain that if not for the tabloids hounding Cahrles to marry Diana, Charles never would have proposed. I am also certain that Kate never would have gotten William back if not for her PR campaign back in 2007 after that breakup. The entire sense of reality by the House of Windsor is in fact dictated by the media's perspective. Clever understanding and that is going ot be the BRF's downfall. I have ordered it - and a couple of others I was after. Sorry Mods - we have strayed OT but I do hope you will forgive us. As much as I dislike the dorks bill medd and haza, two very childish, greedy, grabbing little boys who have never learned to grow up, Diana was their mother. Just how does chucky think those immature boys are going to take this? He is trying to rewrite history to his own advantage. Unfortunately for him too many people see through it all. None of the current windsor family are suitable to be the next King/Queen, the public know too much about all of them in this day and age, whereas going back X years it was all hush hush and behind palace walls. With the internet these days so many skeletons have fallen, and continue to fall, out of the cupboards, and quite fast in recent years. That was an utterly ridiculous thing to put in a book for the world to read. Diana has been dead over 20 years, and still he wants to rake her up and try to make himself look good. Not doing a good job IMO. We all have our failings, and I think one was as bad as the other in their own ways, but why keep dredging it up when we all know Diana can´t defend herself. Those immature boys can though, and he should have thought of that before allowing the book to be released. PC whines enough about his lot in life already so spending money to read about someone else doing it for him is of no interest to me. This feels like plain old PR for How-I-Suffered Chucky to me. Charles Agony, the perfect title for a future book about the self pitying prince. He is not Shadow King, he is a ghoul even suggesting that. He is Prince of Wales, Her Majesty the Queen is still Queen. How many Poor Poor Poor Charles books are needed? He shows his true colors bashing his late ex wife via sycophantic writers. He has three grandchildren and one on the way. As they get older they will wonder why their granddad bashes their deceased grandmother. I think will and Harry will offset this by talking of their late mother to their children. I think Charlotte as the only girl might be the most offended by the treatment of her grandmother. And the others too will not like it. I won't be buying the book. Same old same old spin. It was not the media's fault it was not the parents' fault, Charles at 32 knew exactly what he was doing. He wanted heirs and he did not want Andrew to succeed him . He seems to me very cold blooded and his mistress was allowed to trash the wife. Why does he want to be King so badly? It's not going to wave some magic wand and allow him to run things according to his pretty little theories about life and frankly he has to stop with this constant grubbing for his mother's crown. Second, this isn't a position where after a number of years a person is entitled to move up; this is something else entirely and frankly I wonder if this dolt is in fact aware that his mother might resent the fact that her own son wishes her dead. I'm a bit suspicious of the Harry story. Jobson is a Charles sycophant. Charles was said to have been peeved over the documentaries about Diana and his sons talking about her. So a slam at Harry would not be a big surprise. I wonder if he got at william too. Being the *fool* that he is, Chucky probably really does think that once he's king (whenever that is) all his petty little wishes will magically come true. Charles apparently craves being known as the Shadow King even though there is no such title. He is still Prince of Wales. He did get to have his cake and eat it too. He is a low life IMO for getting lackeys to trash the first wife.